We found 6 episodes of The Engineer of What? with the tag “engineer”. While Nathan might not be in the same field as engineering, both he and his father are engineers. This is a special episode where he gets to interview his father about his 30+ years of experience in the field as an engineer. 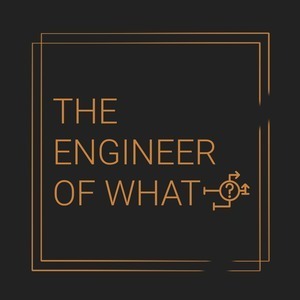 You aren't going to miss this interview as we talk about what someone might expect and how engineering has changed with technology over the years. Episode 16: The Earth is Round? Nathan just got back off the road from taking a break from programming and working as an audio engineer all week. Hear about his fun stories from his time on the road along with other things that are new including an important stance google maps is taking on the earth, android giving the whole world some pie, and something we all love, coffee.